It’s fall, and apple picking—or at the very least, apple eating—is on the brain for many of us. 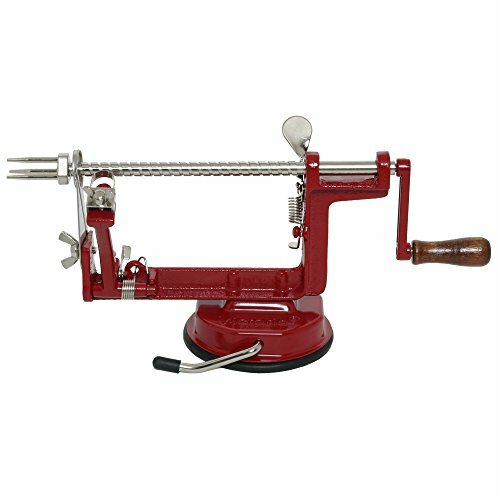 Apples work in all manner of recipes, and not all of them sweet. But let’s face it, that’s where most of us go when it comes to this fruit, right? This apple snack cake wants to be tucked into lunchbox or sliced up ad hoc by small hands after school. It’s not exceedingly sweet, so it would work with coffee or tea in the afternoon (or, in the morning, let’s be real here). It’s good any time you want to eat it. It is an all-occasion thing—hence, a snack cake. This recipe comes to us from The Fruit Forager’s Companion: Ferments, Desserts, Main Dishes and More from Your Neighborhood and Beyond (Chelsea Green, 2018) by Simply Recipes contributor Sara Bir. Bir’s book comes to life with her stellar fruit research, funny anecdotes, and a keen eye for detail. It’s full of recipes both familiar and that sound a little unorthodox — things like jams, relishes, and compotes, along with scones, salads, pies, and pizza. The snack cake we’re featuring here is full of recognizable comfort, but have you ever worked with mayhaws, sumac, or, Bir’s favorite and arguably the gateway fruit for this whole topic—pawpaws? The book offers enough that’s approachable and a complement of recipes for those who are truly culinarily curious. Never fear, the fruit forager is here. The gift of this book is the way it sees the potential we have to feed ourselves right in our backyards. Bir spends much of her free time during the growing season hunting for things that others miss. There’s a wealth of foods available in our backyards, forests, parks, roadsides, and so forth—and you don’t even have to be an expert. She says it’s just about becoming familiar with what is in your environment—and that doesn’t necessarily just mean with the edibles in your yard or local park. It also means “foraging” at the farmers’ market, noticing seasonal foods, or looking out for new foods you’ve never seen before, and asking farmers questions about them. It’s a practice of mindfulness. And something she joking refers to as “eyeball foraging,”—you’re just sort of eyeballing things as you go. The idea of foraging sounds kind of esoteric, or difficult, but it isn’t. It’s really the fancy way of saying, this is how we used to eat. And it doesn’t require a whole lot of knowledge—just a sense of curiosity, really, about what grows in our environments, and how that changes with the seasons. Recipes often work well because a layering of flavors takes place. In this case, the snack cake has apples in triplicate: applesauce, apple cider, and chunks of apples. The applesauce adds moisture, the cider concentrates the flavor, and the apples add texture. I used Pink Ladies and Honeycrisp apples in this recipe, but you can use what you find when you go picking. Or maybe you’ve got friends with apples trees. When I asked Bir what kind of apples she liked to use for this recipe, she says, “The ones that are free, that you find.” Of course! What else would a forager say? All things considered, though, you might be as lucky as I am to find a local orchard that also produces cider and applesauce, which you can use for this recipe and which will undoubtedly create a more interesting apple flavor. 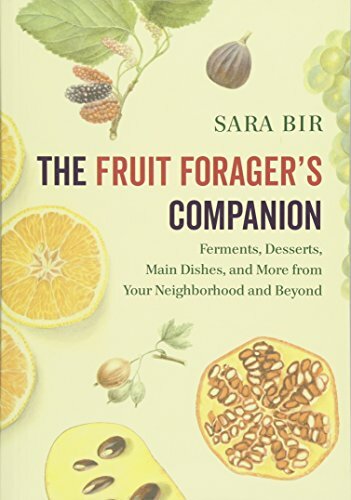 Or you can go all out and make your own cider or applesauce; Bir provides recipes for both in her book. I also plan on making the Citrus Curd from The Fruit Forager’s Companion, which calls for lemon, orange or limes. I think I will use all of them. I don’t live in California or anywhere that citrus grows, so my foraging for citrus will be the grocery store for this one. We are also in pear season right now, and I’m angling to make the Arugula, Pear and Almond Pizza. Or maybe the Italian plum cake. Oh forget it, they all look delicious! Sara’s own favorite hidden gem from the book is something called Old Sour, a condiment that’s well known in the Florida Keys. It’s basically a brine you make from limes, to which you add spicy peppers and then you bottle it and let the whole thing ferment. It’s salty, citrusy and spicy, equally good over sautéed veggies like corn or zucchini, and also in “taco situations,” she says. Southeast Asian food would benefit from it. “It has a bright heat, with top notes of heat, and the citrus notes are deeper—almost like a citrus hard candy,” she explains. It dissipates quickly, in other words. MORE COOKBOOK RECIPES TO EXPLORE! This happens to be one of the most moist cakes I’ve ever made. Make sure you wait until it’s completely cool before you cut it—otherwise you’ll end up with chunks of cake on your knife. 1 Preheat the oven to 350°F. 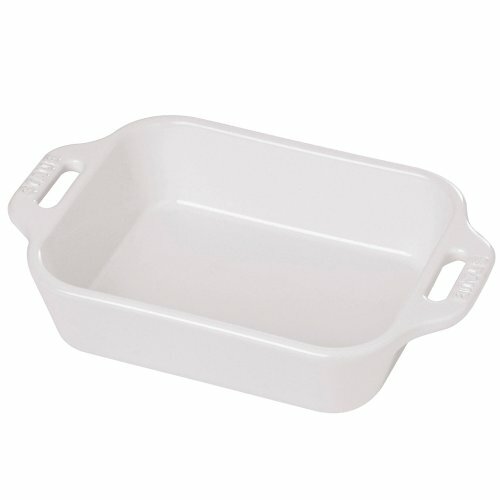 Position the rack in the center and grease a 9x13-inch baking pan. 2 Make the batter: In a large bowl, whisk the applesauce, vegetable oil, cider, brown sugar, granulated sugar, and eggs together until combined. Fold in the diced apples. Set aside. 3 Mix the dry ingredients into the batter: In a medium bowl, whisk together the flour, baking powder, baking soda, salt, and spices. Add it to the wet ingredients and fold it in until you don’t see any dry lumps. 4 Bake the cake: Scrape the batter into the prepared pan and bake until a wooden skewer inserted in the middle of the cake comes out free of crumbs, 35 to 45 minutes. 5 Make the glaze: While the cake bakes, boil 1 cup cider until it reduces to 1/4 cup. Whisk in the confectioner’s sugar. 6 Glaze the cake: Immediately after removing the cake from the oven, pour the glaze over the top and spread it around evenly with a spatula. Cool on a wire rack before serving. The cake will keep, tightly covered, for up to 4 days. Hello! All photos and content are copyright protected. Please do not use our photos without prior written permission. If you wish to republish this recipe, please rewrite the recipe in your own unique words and link back to Triple Apple Snack Cake + First Look at The Fruit Forager’s Companion on Simply Recipes. Thank you! Can you use olive oil in place of vegetable oil? Or would that give it a strange flavor? Hello! Carrie Havranek, Associate editor here. I think it would dramatically change the flavor of the cake. Olive oil tends to work well with flavors that are lighter than apples and cinnamon–think lemons, herbs, cornmeal. I wouldn’t recommend it, but if you want to try it, be my guest! Hello, Nate–I love your question! This is Sara Bir here, and I’d say yes, you can use olive oil for the reasons Carrie says above. Taste the oil first; you want it to taste fruity and fresh. Olive oil with a peppery taste won’t be as good in this cake. And of course if it tastes and smells rancid, choose another oil. Walnut oil, coconut oil (melted), or melted and cooled butter would also be good alternatives.